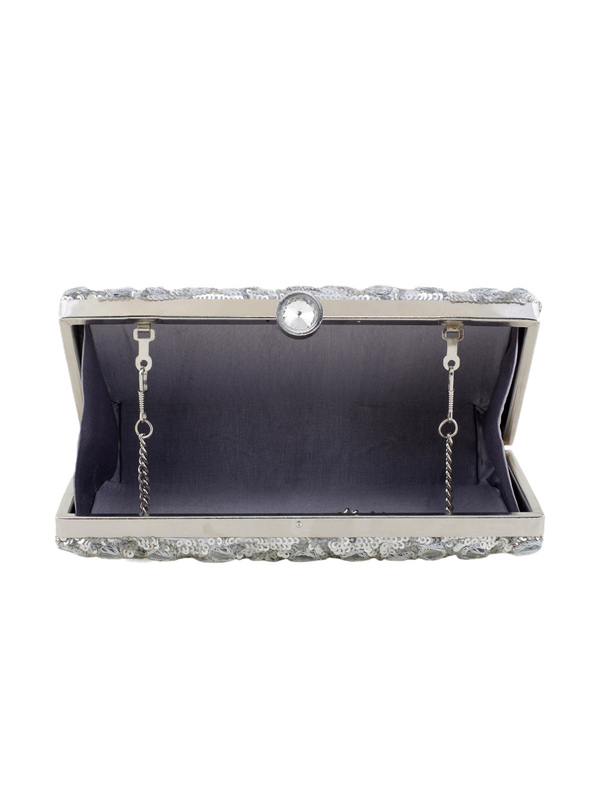 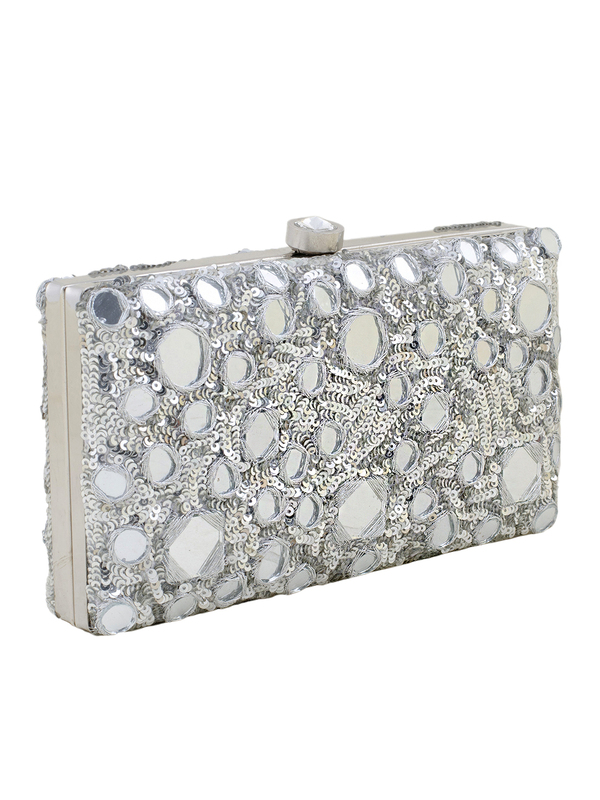 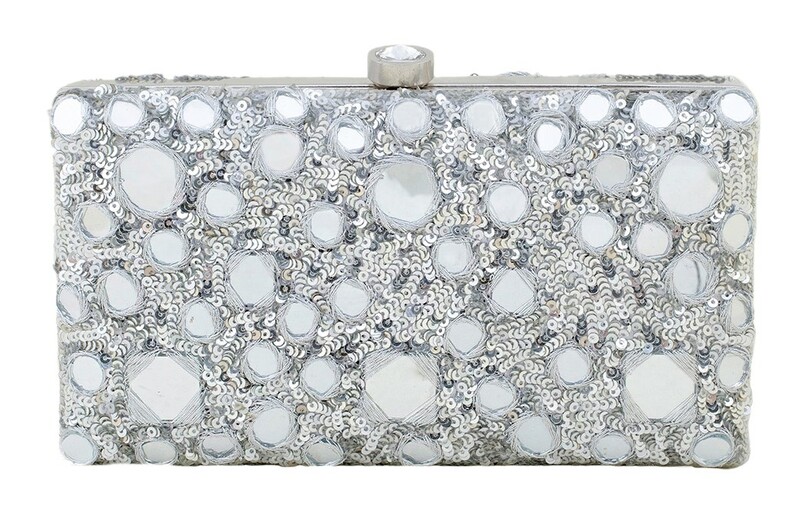 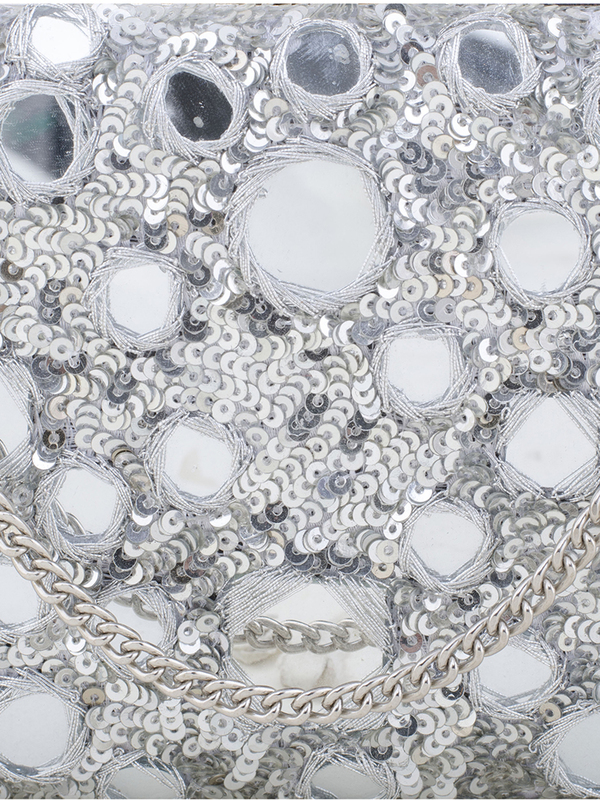 Adorn the attractive Shimmer Minaudière, intricately set by hand, in silver mirror work, silver dori and silver sequins. 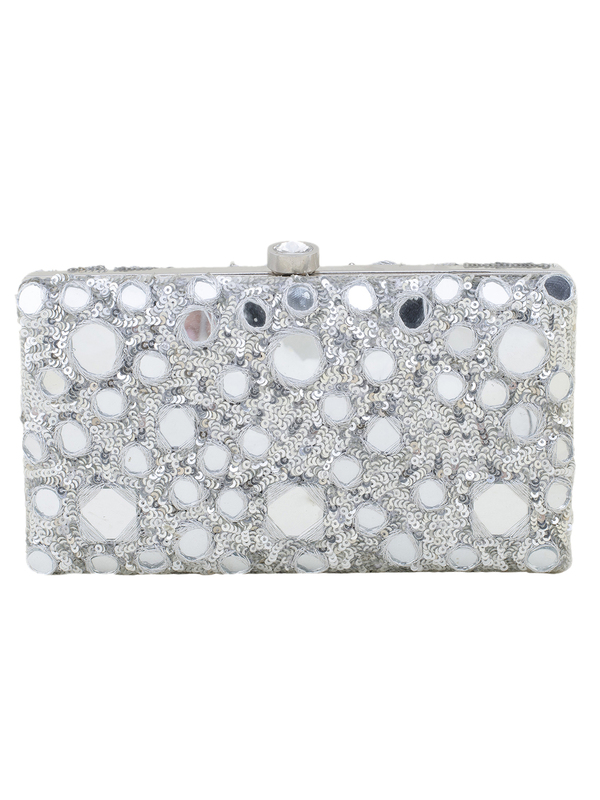 This statement piece is a versatile design which is sure to make heads turn, and add that touch of sparkle to your look! 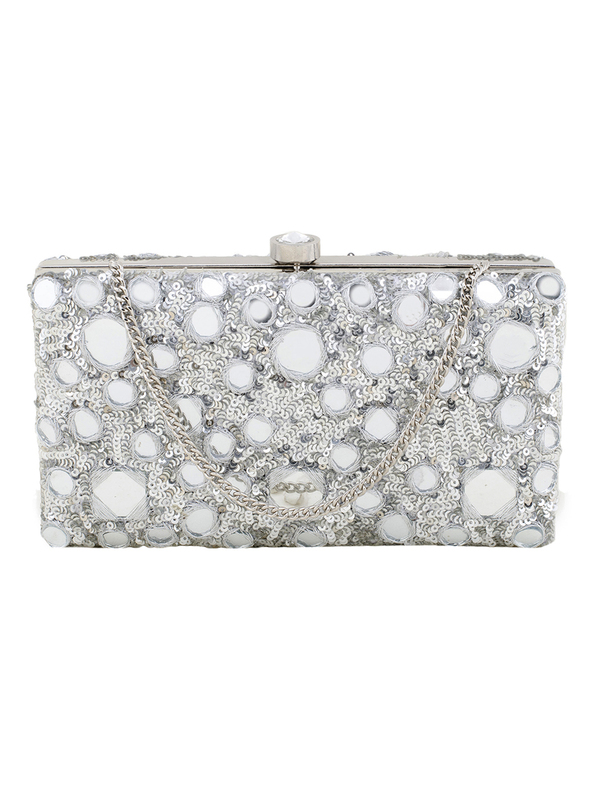 It is ideal to carry with an ethnic or indo - western outfit.